The efforts of Liberty and the project engineer resulted in DEP and USACE approval of one of the most complex aquatic habitat permitting and mitigation projects ever approved in southcentral Pennsylvania. Liberty played a key role in the successful permitting of a new 170-acre logistics park project located in Hamburg, Berks County, Pennsylvania. The development plans included the construction of three new warehouse and distribution centers totaling 2.25 million square feet and associated site improvements at an existing golf course. With an increased focus by regulatory agencies on impacts of land development on the water quality and aquatic habitat, this project was among the first in the state to receive approval under the more intensive approach by the agencies to permitting discharges in impaired watersheds. Permitting of the wetland and watercourse disturbance and restoration was performed jointly by the Pennsylvania Department of Environmental Protection (DEP) and U.S. Army Corps of Engineers (USACE), commonly known as the “Joint Permit” process. This process applies to major waterways permitting projects and Liberty was integral to all aspects, from initial site evaluation to final agency negotiations. The environmental elements of the development plan were designed to offset impacts to aquatic habitats consisting of streams and wetlands. Specifically, this encompassed two new wetland mitigation areas, new watercourses, dam removal, restoration of an original natural stream channel, establishment of new riparian buffer areas, and creation of new meadow areas for enhanced stormwater management. Included in the planning were detailed stream and wetland delineations using GPS instrumentation and GIS mapping, shallow groundwater table monitoring, a Jurisdictional Determination with USACE, and threatened and endangered species approvals from the Pennsylvania Fish and Game Commission and the US Fish and Wildlife Service. 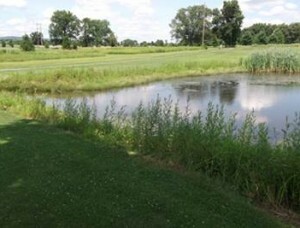 Liberty performed the Environmental Assessment for the Joint Permit application, which involved a functions and values evaluation for the 16 palustrine wetlands and 12 watercourses on the project site using both the USACE WET method and the Pennsylvania DEP Chapter 105 functional assessment criteria method. Liberty also performed separate functional assessments of riparian buffer impacts and buffer improvements in accordance with Pennsylvania DEP’s Riparian Forest Buffer Guidance document. During the permit review process, which involved multiple technical discussions with DEP Southcentral Region and Central Office staff, Liberty provided both regulatory interpretation and environmental support of the project engineer’s site design. The efforts of Liberty and the project engineer resulted in DEP and USACE approval of the one of the most complex aquatic habitat permitting and mitigation projects ever approved in southcentral Pennsylvania. Construction of the logistics park is currently scheduled for Summer 2015.